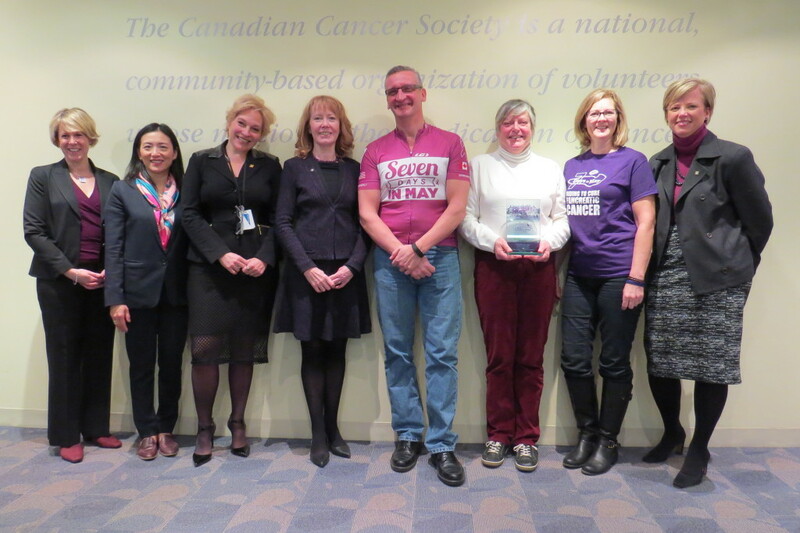 We are consistently blown away by the support that the Canadian Cancer Society gives us. It means a lot to have a partner like them that help us keep administrative costs at rock-bottom levels – which ultimately helps us contribute everything we raise to leading pancreas cancer research. On January 8th, they kindly put together a presentation for us, to encourage everyone involved in 7 Days In May to keep up the hard work, and keep riding. We raised $67,000 this year – a record for us! Thank you to everyone who has helped us along the way, and here’s to creating a new fundraising record in 2016!